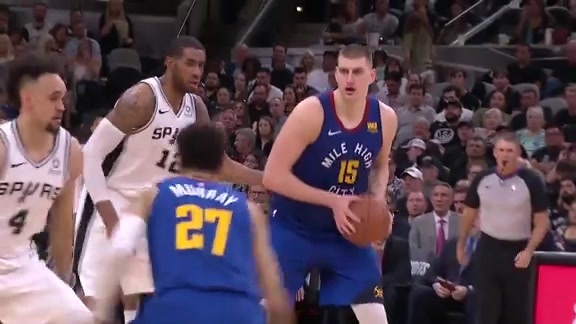 Nikola Jokić continued his strong, All-Star caliber play for the Denver Nuggets in March. The 24-year-old posted 19.1 points, 11.4 rebounds and 6.1 assists per game while leading Denver to a 9-6 record. Jokić shot 54.9 percent from the field in the month, which marks the highest field goal percentage he has recorded in a single month this season. Jokić continues to lead the team in points, rebounds, assists and steals per game. Jokić also posted just 2.3 turnovers per game during the past month, his lowest turnover rate in a month this season. Jokić was active on the boards in March, as he grabbed at least 13 rebounds in a game on seven different occasions. As a result, it’s not a surprise that Jokić once again received Budweiser Nugget Of The Month honors, besting Jamal Murray, Paul Millsap and Will Barton. 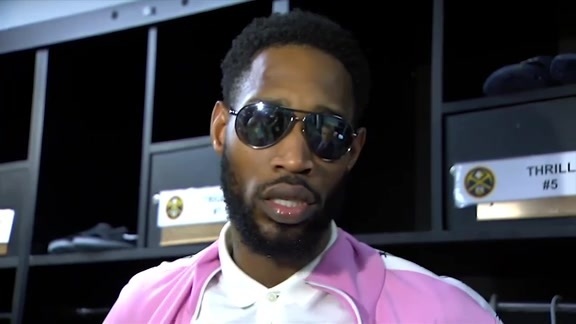 The All-Star big man had several memorable moments throughout March, highlighted by his game-winning shot to defeat the Dallas Mavericks, a win that propelled the Nuggets to a six-game winning. Jokić thrived during the clutch in March, as he shot 80 percent from the field and the led Denver in plus-minus at +14 during clutch minutes. “Something good happens when he (Jokić) touches it,” Nuggets head coach Michael Malone said. “He's going to score, he's going to find the open man, he's going to draw a foul or a double team, and good things will happen." Jokić was key in Denver’s playoff-clinching victory over the Boston Celtics on Mar. 18th, as he scored 21 points, grabbed 13 rebounds and dished out seven assists in 36 minutes of action. 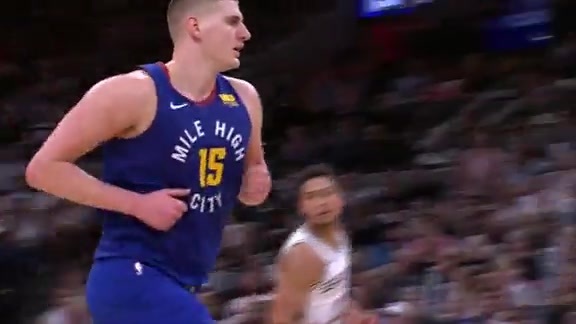 The Serbian big man continues to be a model of consistency for the Nuggets. Jokić has averaged at least 19 points, 10 rebounds and six assists per game in each of the past four months, a key reason the Nuggets have continued to be in the running for the top seed in the Western Conference.